Title is currently out of stock but due in very soon, a CSR will email you the release date once the order is placed. Your credit card will only be charged when the book becomes available. Speaking of cabinet appointments he’d made as governor, presidential candidate Mitt Romney famously spoke of having “whole binders full of women” to consider. The line was much mocked; and yet, Kaitlin Sidorsky suggests, it raises a point long overlooked in discussions of the gender gap in politics: many more women are appointed, rather than elected, to political office. 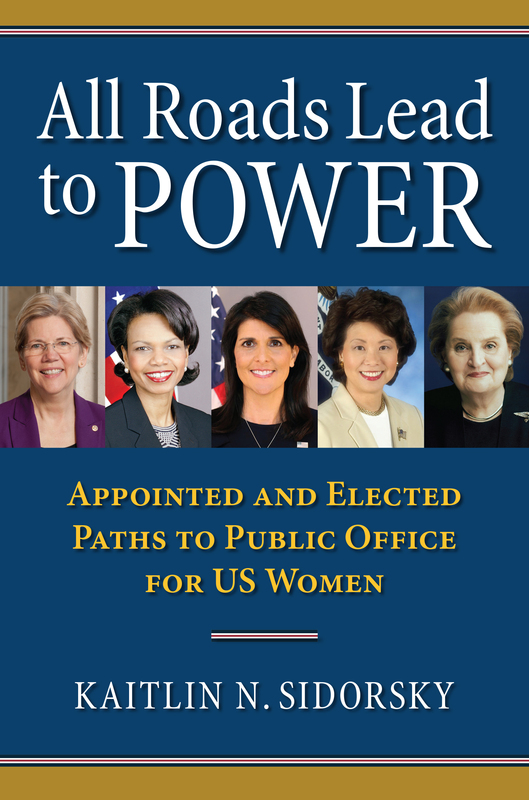 Analyzing an original survey of political appointments at all levels of state government, All Roads Lead to Power offers an expanded, more nuanced view of women in politics. This book also questions the manner in which political ambition, particularly among women, is typically studied and understood. In a deep comparative analysis of appointed and elected state positions, All Roads Lead to Power highlights how the differences between being appointed or elected explain why so many more women serve in appointed offices. These women, Sidorsky finds, are not always victims of a much-cited lack of self-confidence or ambition, or of a biased political sphere. More often, they make a conscious decision to enter politics through what they believe is a far less partisan and negative entry point. Furthermore, Sidorsky’s research reveals that many women end up in political appointments—at all levels—not because they are ambitious to hold public office, but because the work connects with their personal lives or careers. With its groundbreaking research and insights into the ambitions, recruitment, and motivations of appointed officials, Sidorsky’s work broadens our conception of political representation and alters our understanding of how and why women pursue and achieve political power. Kaitlin Sidorsky is assistant professor of politics at Coastal Carolina University, Conway, South Carolina. Her work has appeared in Political Research Quarterly.